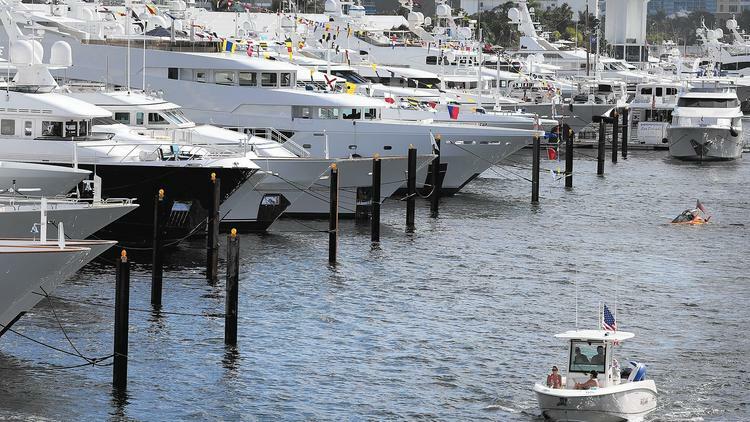 Fort Lauderdale’s signature boat show has a massive economic impact in South Florida – and in the state overall, a new study showed. In 2015, the 56th edition of the Fort Lauderdale International Boat Show generated an estimated $531.5 million in economic impact in South Florida and $857.3 million statewide, according to the study by Thomas J. Murray & Associates and the University of Florida. That includes the value of direct jobs generated by the show, revenue from sales of marine products, as well as spending by out-of-town visitors, among other contributing items, the study released Thursday revealed. In all, the 2015 boat show accounted for an estimated $508.3 million in marine product sales, the study revealed. This latest economic report for what’s considered the largest boat show in the world, in terms of gross exhibitor space and number of mega yachts on display, was commissioned by the Marine Industries Association of South Florida and Show Management. The marine association is the boat show’s owner, and Show Management is the event’s producer and manager. Both are based in Fort Lauderdale. Updating the show’s economic impact had been a priority for show organizers in recent years because the last economic study on the event was released eight years ago. Since then, the U.S. economy sunk deeper into the Great Recession, and the marine industry, which is primarily fueled by discretionary spending, had taken a major hit. As the marine industry has bounced back, a more accurate assessment of the boat show’s impact was seen as crucial to fostering future growth and reinforcing Fort Lauderdale’s reputation as a global marine hub.